An unnamed surveyor from Boston, telling the story in the first-person perspective, attempts to uncover the secrets behind a shunned place referred to by the locals of Arkham as the "blasted heath." Isekai no Shikisai was published in Polish by Studio JG on April 28, 2017. The Art is really good and manages to reveal just enough to keep you entertained without revealing too much and keeping a part of mystery. The story and characters are very good (since it is Lovecraft it is to be expected). 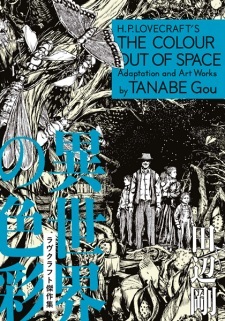 The story is really in the style of Lovecraft and fans of him will definitly enjoy this manga. For those that don't know lovecraft the manga is still very good and a definitive read if you like horror mangas in the style of Uzumaki with strange events happening without explanation.